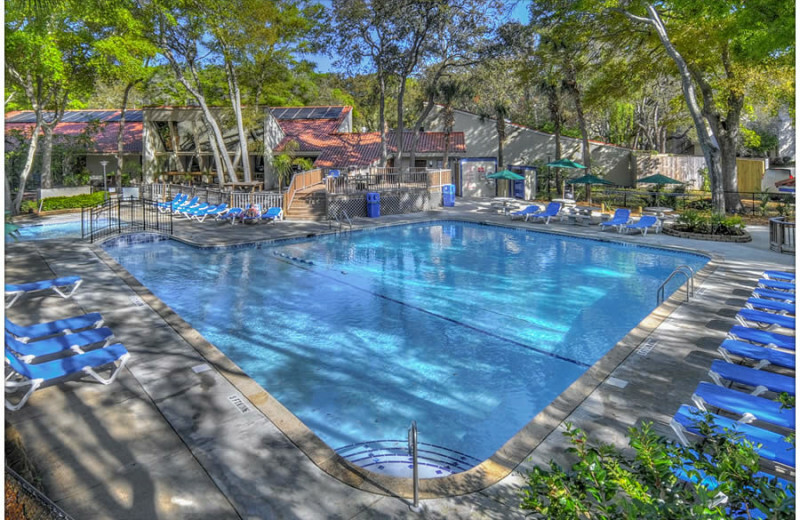 Villas by the Sea is a on- of-a-kind oceanside resort and conference center on Jekyll Island. It features professional staff whose customer service goes above and beyond and has that nice added helping of southern hospitality. You will feel right at home from check-in to check-out. Take a stroll on the beach, or dive right into the waves. At Villas by the Sea, the choice is yours. Or if you need to get a little work done, stop by the Café at any time of day to use the free wireless internet! Enjoy Jekyll Island's unique, unspoiled beaches. Natural, cascading dunes separate your Villas by the Sea vacation rental from the beach, where you can sunbathe or bird watch. Driftwood Beach, only steps from your villa, is a must that is famous for shell collecting. Come relax on the beach, and don't miss a chance to go for a stroll at sunrise! Your Georgia family vacation will be filled with amenities at Villas by the Sea. Enjoy a large solar heated swimming pool, horseshoes, bicycle rentals, DVD rental library and a kid's playground. Play out on the beautiful Jekyll Island beaches, then grill out for lunch back at the resort. Or, discover the historic island on a family bike ride. The options are truly endless at this island escape! Villas by the Sea Resort and Conference Center makes business meetings and conferences a pleasure. 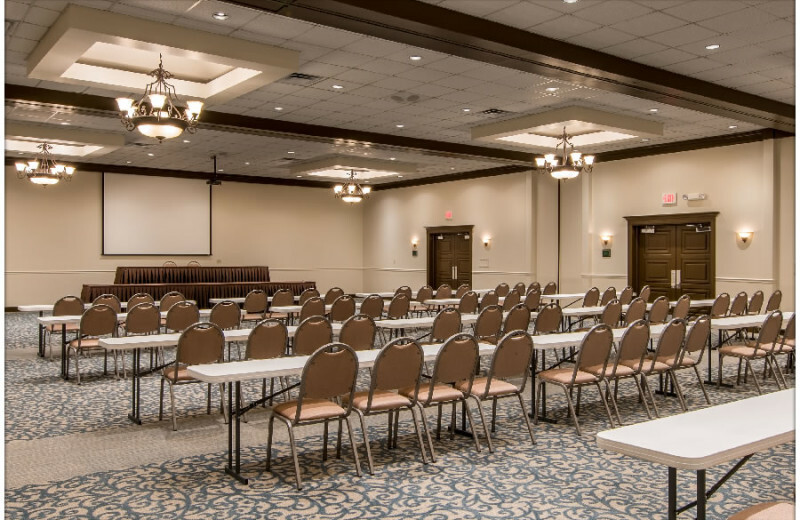 In a relaxed, secluded setting, their freestanding Conference Center totals 9,000 square feet and is designed for optimum flexibility and efficiency for all meetings and conferences held on Jekyll Island. With a dedication to quality and close attention to detail, Villas by the Sea pleases the most discerning meeting and conference planner. They pride themselves on making sure that their experienced staff meets and/or exceeds your expectations. Jekyll Island plays the perfect host for your next Georgia family reunion, and Villas by the Sea Resort & Conference Center offers ideal accommodations and facilities for everyone in your group. The property is the largest beach resort and hotel on the island, and a 9,000-square foot newly renovated Conference Center provides enough space for plenty of activities. One-, two-, and three-bedroom villas offer all the comforts of home, and enough room for even the largest extended families. Full kitchens, spacious living rooms, and tremendous views are just a few of the things that will have your returning year after year to reunite with your family! Villas by the Sea Resort & Conference Center can truly provide a beautiful and sophisticated experience for your once-in-a-lifetime South Georgia wedding. Whether you're planning a beach ceremony or a more formal affair, their professional staff will help make your event unforgettable. Engage in a true island experience - tranquil, private, and deeply reflective! Just minutes from Villas by the Sea lies the Jekyll Island Marina, a full-service marina offering fishing excursions year-round. Surf fish off the beach or reserve your spot on one an off-shore charter trips. Crab and shrimp fishing are also popular activities. Knowledgeable captains know all the best spots to drop your lines. The unspoiled sands are the soul of Jekyll Island. Just steps from Villa by the Sea, the uncrowded sun-drenched sands offer a variety of activities. Criss-cross the island exploring beaches, forests and the Historic Landmark District. The island offers golf, hiking, horseback rides and so much more. Just steps from the beach and solar-heated swimmingpool, you'll find 150 one-, two- and three-bedroom individually-owned, uniquely designed condo villas, perfect for those looking for a little peace and quiet. Each is furnished with full kitchens, spacious living and dining areas, private balconies or patios and convenient front-door parking. This property is ranked number 8 on Top Georgia Meeting and Conference Venues. Read about it here.